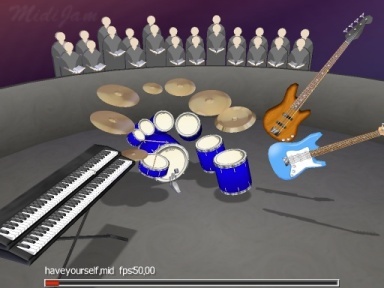 MIDI Jam is an incredible MIDI file player that plays your MIDI files in visual form using 3-D instruments that play the exact notes in real time. It’s just like watching a virtual orchestra play. Easily the coolest MIDI file I have ever seen. Check it out. ← In observation of Earth Day.